Welcome to Serenity Holidays’ privacy notice. Serenity Holidays respects your privacy and is committed to protecting your personal data. This privacy notice will inform you as to how we look after your personal data when you visit our website (regardless of where you visit it from) or when you otherwise provide personal data to us via other means (such as over the telephone) and tell you about your privacy rights and how the law protects you. This privacy notice is provided in a format so that you can easily click through to the specific areas set out below. Alternatively you can download a pdf version of the policy here. Please also refer to the Glossary that we have set out at the end of the Policy, if there is any terminology used in this privacy notice that you are unfamiliar with or that you don’t fully understand. This privacy notice aims to give you information on how Serenity Holidays collects and processes your personal data, including any data you may provide through this website or via any other means (such as over the telephone) when you purchase travel services, when you sign up to our newsletter, when you take part in a competition etc. Serenity Holidays Limited is the controller and responsible for your personal data (collectively referred to as "Serenity Holidays ", "we", "us" or "our" in this privacy notice). We have appointed a data privacy manager who is responsible for overseeing questions in relation to this privacy notice. If you have any questions about this privacy notice, including any requests to exercise your legal rights, please contact Polly Evans using the details set out below. This version was last updated on 17th May 2018 and historic versions can be obtained by contacting us. If you are happy to consent to our use of your sensitive personal data, you will also be able to withdraw your consent at any time. 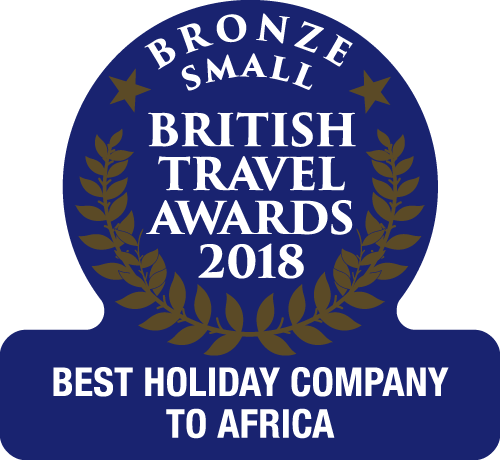 However, as this will prevent us from providing the travel service you have booked, we will be required to treat any withdrawal of consent as a cancellation of your booking and the cancellations in clause 3 of our Booking Terms and Conditions https://www.gambia.co.uk/booking-conditions-financial-security will become payable. In this case, depending upon when you fail to provide the necessary date, we may either not be able to process your booking or we may have to cancel your booking, in which case we will treat this as a ‘cancellation by you’ in accordance with our Booking Terms and Conditions https://www.gambia.co.uk/booking-conditions-financial-security We will notify you if we are unable to process a booking or are required to cancel a booking for this reason. Identity and Contact Data from DataHQ, who provide a data cleansing service that assists us in keeping the Identity and Contact data that we hold accurate, based inside the EU. (c) providing the services that you have booked. (c) Asking you to leave a review, feedback regarding your travel services or take a survey. To record telephone calls that are made to us. (b) Necessary for our legitimate interests (to monitor employee performance, to check for errors). To record conversations taking place via our Live Chat facility. We have provided information below as to the various ways that we strive to allow you to exert your choice over our use of your personal data for marketing purposes. You can ask us or third parties to stop sending you marketing messages at any time by clicking on the unsubscribe link on emails or by contacting us at any time. Where you have made a booking of travel services which are located or otherwise due to be fulfilled outside the EEA, we are required and are permitted to transfer your personal data to the supplier of the services that you have purchased, outside the EEA in order to fulfil the contract we have with you. Details of retention periods for different aspects of your personal data are as follows: . We retain your data for this period of time in order to enable us to defend any legal claims that you may pursue against us. Please Note that we will not apply the above retention periods to any Special Categories of personal data that you provide us to fulfil your booking, we will delete this data as soon as we no longer require it. Where you make a telephone call to us we will retain a recording of that telephone call for a period of 18 months from the date on which the call was made (please note that this recording will not capture your 3 digit CSV number, when you make a payment to us). Where you provide us with feedback after your booking has been performed we will retain that feedback for a period of 2 years from the date on which it was provided, following which we will either delete or anonymise the feedback. Suppliers of travel services acting as processors based in across the world who provide the travel services that make up any booking of travel services that you make with us. Asendia UK Limited acting as a processor and based in the United Kingdom who provide us with mailing services to allow us to send postal marketing material. Adestra Limited acting as a processor and based in the United Kingdom who provide us with electronic mailing services to allow us to send our electronic marketing material. you have objected to our use of your data but we need to verify where we have overriding legitimate grounds to use it.